One Mother’s Day a few years ago, our priest spoke about mothers. His words were lovely, but my brain doesn’t seem to hold words as much as emotions, and he had us do a little exercise that I have never forgotten. He had us all shut our eyes and for a moment listen for our mother’s voice. He was right, I could still hear her voice, though she had been gone a few years at the time. Needless to say there wasn’t a dry eye in the church!! Can’t we all still hear our mother’s voice…sometimes nagging, sometimes comforting? No matter how we hear her, we carry our mother in our minds and hearts. 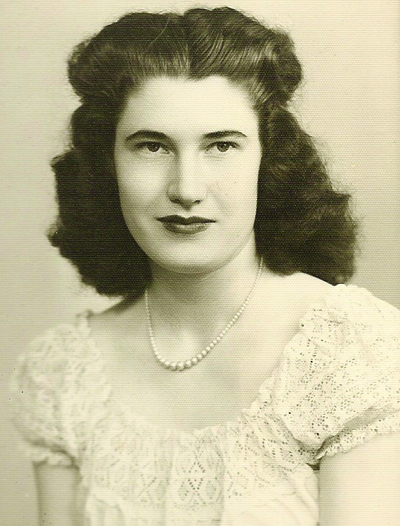 My mother is with me now, more than ever….her voice, her sayings, her advice, and her ways. I was blessed with a mother that taught me so much, including her love for needlework, and took the time to teach me the basics of sewing, knitting, crocheting and other crafts. She also gave me the confidence to make what I couldn’t afford to buy, and how to make something pretty out of very little. I learned her lessons well…so well, in fact that I will never forget when I walked in the door with scraps of carpet. I couldn’t afford a rug for my dorm room in college and so I got free carpet scraps, some string, big circular needles and iron-on tape. Was she ever shocked, along with my friend, and sure enough, after blistering our hands from poking and pulling needles and string and hand tying each stitch, we had made a beautiful carpet that looked much like a scrap quilt and it lasted for years! Although my mother and I were such strong personalities that we would often clash, I was privileged to be the one to care for her in her last years after my dad had passed. Those were the years that I treasure most! I learned so much about her childhood and faith, and witnessed her dignity as Parkinson’s diminished her health and independence. She had a mind of her own and used it until her death! And I loved her all the more for it! Her stubbornness that clashed with mine for years became her most endearing trait. She didn’t complain, but faced all that she needed to with courage and “true grit”! I hope that my children will remember me the way I remember my mother, cherishing and treasuring special shared moments in their minds and hearts, as I do with my mom.